Ah – Trader Ming, we meet again. I’ve been going around eating every type of gyoza Trader Joe’s has to offer, but only now am I finally sitting down with their Gyoza Dipping Sauce. Why the delay, you ask? Because I’m stupid. Thanks for pointing that out – now I feel terrible. What is there to say about a simple gyoza dipping sauce? We’ll, for one, it’s not what you’d expect. A traditional gyoza dipping sauce, the type commonly used in China and Japan, is essentially a simple mixture of rice vinegar and soy sauce, occasionally touched with a bit of chili pepper. If you happen to have it laying around, it takes about two seconds to make up for yourself and costs almost nothing. None of this is unwarranted in Chinese cooking – cilantro, ginger and garlic all have important places in the pantheon of Asian cuisine – but it does make for a strong tasting, and somewhat unusual dipping sauce. I actually prefer the simpler vinegar/soy sauce concoction to this as the ginger and cilantro in particular really come to the fore of the sauce, and linger on the tongue long after. This, combined with the thickness of the sauce, threaten to overwhelm the taste of your pot stickers if used in more than very small quantities. Of course, you’re not limited to using this on dumpling, if you don’t want. TJ also suggests trying it with egg rolls or, vaguely, “any Asian food”. While I’m not sure I would go that far, it certainly might work on salads, or with any number of Asian fusion dishes – banh mi, or Korean style tacos, perhaps. Overall, however, this one feels like a miss for Trader Joe’s. Regular gyoza dipping sauce is simple and tasty by itself that TJ would have to offer something pretty special to lure me into making this a regular purchase. The sauce they delivered certainly has an unique taste – but not necessarily a superior one. Would I Recommend It: Not really, unless you have some Asian-Mexican fusion recipes in mind. Would I Buy It Again: No – I’ll stick to mixing soy sauce and rice vinegar, thanks. Trader Joe’s just keeps hammering out the pot stickers. 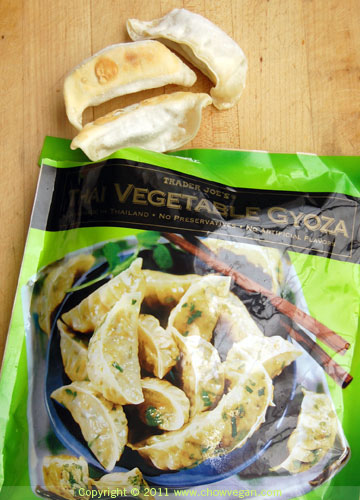 After trying the chicken gyoza, and shirmp gyoza, it seemed like I had to finally try Trader Joe’s Thai Vegetable Gyoza. I’ve been holding off on these because, to be honest, an all vegetable gyoza just didn’t sound very appealing. I love vegetables, and there are salads I would kill for, but a bunch of mushed up steamed veggies just didn’t sound like something that was going to satisfy. At most, I was expecting something that might make a satisfactory hors d’oeuvre, to be absentmindedly pushed down the gullet while waiting for the real fare to come out. It was to my surprise that I found these Thai Vegetable Gyozas hold their own with any of Trader Joe’s other excellent gyoza. I’m routinely shocked when I find a vegan food that isn’t merely palatable, but makes me want to go back for seconds. I suppose that speaks to my ignorance, because we’re lucky enough to live in a world where tasty vegan food is on the rise – particularly, as we’ve seen before, on the shelves of Trader Joe’s. 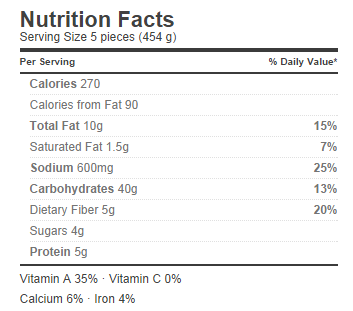 It’s even more surprising considering that it’s a fast food that cooks from frozen in about 5 minutes. That’s a pretty good trick – of course, on the other hand, Trader Joe’s Thai Vegetable Gyoza aren’t really vegan at all. 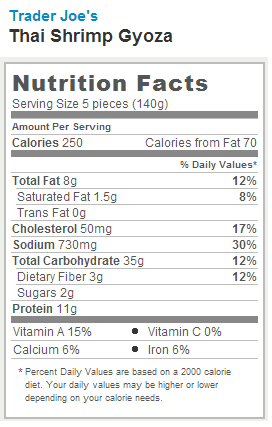 Scour the bag all you might, you won’t find the telltale “V” TJ’s uses to demarcate their vegan offerings. 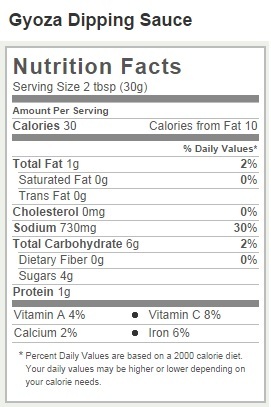 That’s not because of the ingredients, which are all plants and plant-derived, but because of the processing facility. While laudable that these gyoza, like the Thai shrimp gyoza, are handmade in Thailand, their manufactured on the same machines that handle fish and shellfish – meaning they can’t give the bag that little happy “V”. I dare say that depending on which way your morals fall, that might still be vegan enough for some vegans out there. Piscine allegations notwithstanding, there’s no reason these gyoza should be limited to only the Vegan. Trader Joe’s Thai Vegetable Gyoza aren’t merely the “meat-free” version of a tastier gyoza, like some vegetarian fare tends to be, but are actually tasty pot stickers in their own right. Each plump dumpling is stuffed with a filling of white cabbage, carrot, chive, radish, green onion and white onion – plus a dash of ginger, garlic and soy sauce. As you might guess from all the members of the Allium family in there, these are pungent little suckers – packing enough onion and garlic to imbue the minced cabbage with flavorful (if kiss-averting) taste. The touch of ginger and soy sauce lighten things up, giving the dumpling a zippy, slightly exotic taste. The body of the gyoza, which I was worried about being too meager, actually makes for a nice chewy mouthful thanks to the cabbage and carrot filling. Of course, the gyoza also benefits from the same excellent skin of Trader Joe’s other gyoza – thin, chewy, and pleasant to the bite. What I really liked about these is that they have a very different flavor and mouth feel from the pork or chicken potstickers, which tend to be rather samey. By taking away the meat, it really gives the gyoza a chance to showcase a different, but still satisfying taste. While I might not be switching over to these gyoza exclusively, I could definitely see buying a bag of these for every bag of pork gyoza I get. Served alongside each other, they would add a level of depth that a simple plate of one or the other wouldn’t have by itself. Would I Recommend It: Yes – but with a caveat to vegans. Final Synopsis: Nice gyoza that satisfy even without the meat. 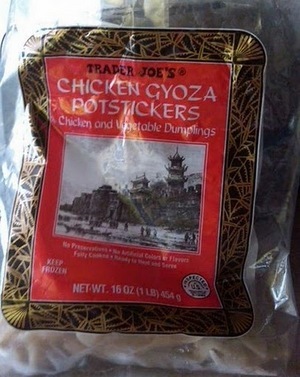 We continue our look at Trader Joe’s frozen Chinese-insipired food with Trader Joe’s Chicken Gyoza Pot Stickers. Unlike the Chicken Chow Mein from the other day, I like these gyoza just fine. 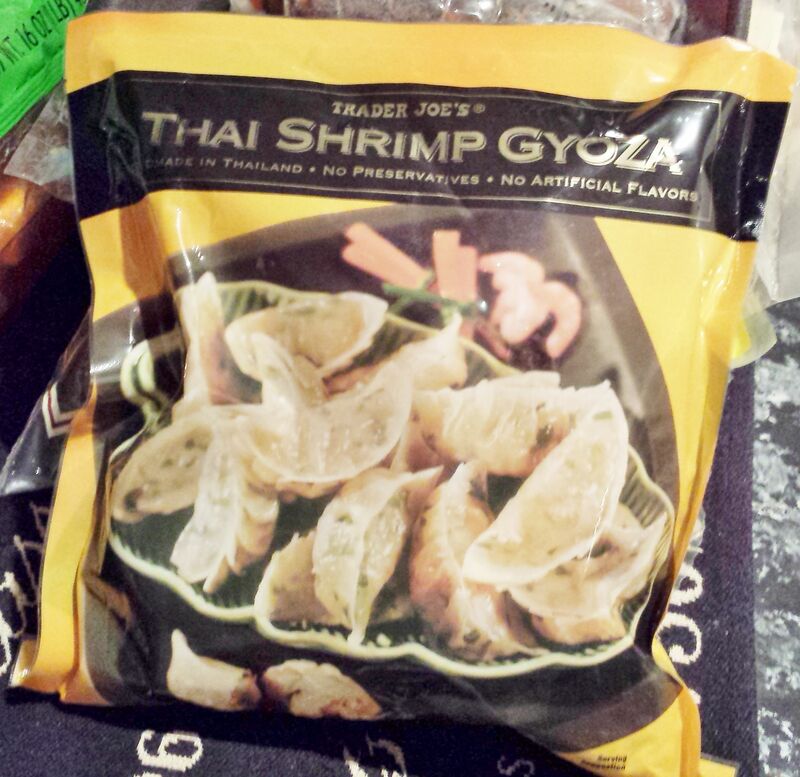 In fact, I have a nearly bottomless stomach for a good gyoza, and Trader Joe’s certainly manages to deliver. I crammed hundreds of these savory dumplings into my face in Japan, and I’ll cram hundreds more if given the chance. Where the chow mein clearly lacked any sort of passion in it’s execution, these gyoza were made by a true believer. Despite coming to you frozen, these little dumplings are nearly as good as the real thing and, even better, seem to cook up perfectly every time. There’s something wonderful that happens to mince meat and vegetables when they’re put inside the thin, crimped skin of a gyoza dumpling. Trader Joe’s combination of rich and flavorful chicken with minced vegetables combines brilliantly with the smooth, almost creamy texture of the tender skin. Whether pan fried or steamed, the gyoza seal in the flavors, keeping the insides moist and tender. The name gyoza is directly taken from the Japanese, but that name is as meaningless to them as it is to us. The Japanese took both the name and idea from Northern China where gyoza go by the name giaozi or jioazi. Their true origin is obscured by the hazy reaches of history, but seems to owe their creation to Zhang Zhongjing – a legendary figure in Chinese history and the most prominent physician of the year 200 AD – as some sort of medical treatment. The name Mr. Zhang bestowed upon his creation, jiaozi, translates literally “tender ears”. This is not, as you might expect, because of the lumpy, oblong shape of gyoza makes them look a somewhat ear-like. Instead, historic record suggests they were used to treat frostbitten ears. Whether this means that they were supposed to be fed to a person with frostbitten ears as a sort of medicine, or strapped directly to the head in order to warm the damaged extremities is unknown, as Zhang’s original texts were lost during the ravages of the Three Kingdoms period. Medical use aside, the other big gyoza question is – what’s the difference between these things and Trader Joe’s equally delicious wantons? While outwardly similar, the wanton is usually rounder than the gyoza, with a somewhat thinner skin and more heavily seasoned filling. When steamed, the differences between gyoza and wantons are more academic than anything – it’s when you pan-fry your gyoza that the differences really show up. A good pan-fried gyoza turns toasty brown on one-side while steaming up on the other. The result is a spectrum of textures, from crispy to soft, to add another dimension to the meaty filling. Of course, no good potsticker would be complete without a killer dipping sauce. A simple mixture of soy sauce and vinegar (I like a 1:2 ration) elevates this humble dumpling to surprisingly levels of flavor and melt in your mouth pleasure. Ideally, you should use a mild rice vinegar, but any vinegar will work. It’s a winning combination in my book, and a flawless execution of a delicious and versatile food that can be eaten as a side dish or main course. 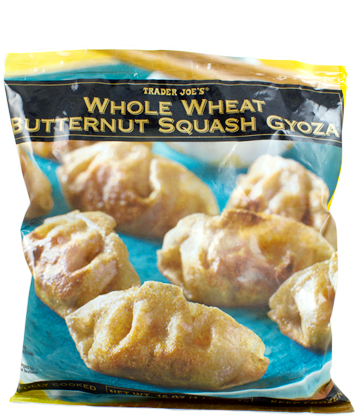 Trader Joe’s should be proud – they’ve done the gyoza proud. 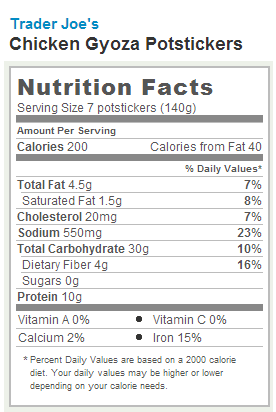 Would I Recommend It: Yes – they’re perfect for entrees or sides. Would I Buy It Again: I’m hooked. Final Synopsis: Authentic tasting gyoza that cook up fantastically.